Transform your smile so you are ready for anything. If you are not happy or confident with your smile, it may be time to give yourself a smile makeover. 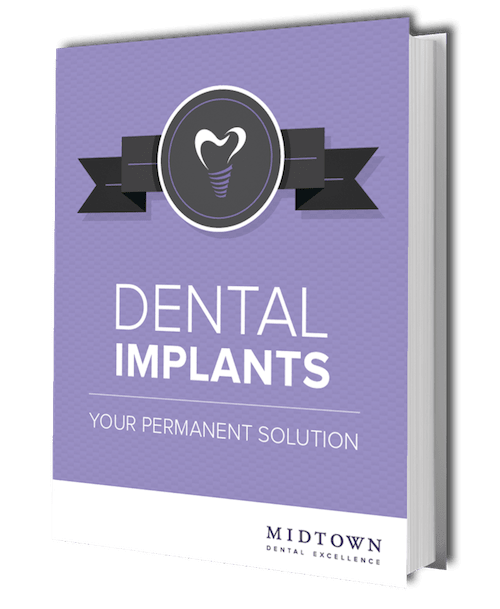 At Midtown Dental Excellence, our expert dentists specialize in a variety of cosmetic dental treatments to transform your smile aesthetically and functionally. From professional teeth whitening and BOTOX® to veneers and bridges, we can provide you with all your cosmetic dental needs under one roof. Experience cosmetic dentistry in NYC that is faster, better, stronger, and fits into your busy life. With your busy schedule, it can seem like a hassle to go to the dentist, get seen, and book another appointment to get your treatment done. Then, repeat the process. Well, that ends today! As part of our mission to do whatever it takes to keep our patients smiling, Midtown Dental Excellence is excited to offer same-day or one-visit dental appointments for a range of treatments. These appointments end the delay in getting treatment but rather, provide optimal convenience and save you time. 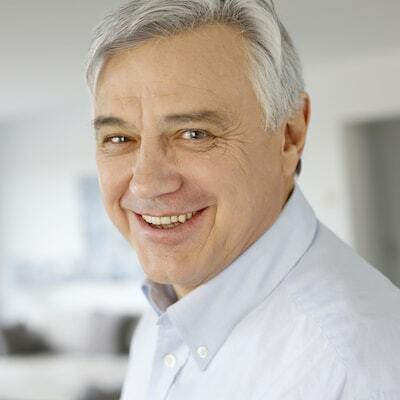 Using the latest in dental technology, we can place implants in one visit. Our cosmetic dentists understand the New York City lifestyle and are shaping dentistry to fit your culture. Custom-built crowns are sometimes used to simply resolve the appearance of a tooth and restore its functionality. As long as the root structure is still intact, it is usually possible to place a crown on the existing tooth to save it. Crowns are strong, natural-looking, and take no time to place! Building a bridge to your dream smile. A bridge can be used to fill a gap in your gum line left by a missing tooth. Using the adjoining teeth as support, a bespoke bridge will match your remaining natural teeth and enable you to eat, smile, and speak comfortably. 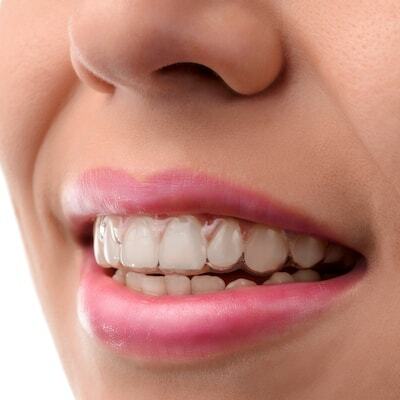 Bridges are made up of two or more crowns placed on the anchoring teeth on either side of the gap. Then, a replica tooth is fitted between them. A bridge can usually be completed in less than a few visits to our dental office and is a great alternative for those who are not candidates for dental implants. Porcelain veneers offer the ultimate in aesthetics and style. A veneer is a thin facing or covering, which bonds to the natural tooth structure. This highly recommended conservative treatment can give you the smile you’ve always dreamed of and deserve without losing any tooth structure. If your teeth are chipped, broken, or discolored, porcelain veneers are an excellent way to change the color and shape of your teeth. Veneers can be an exceptional alternative to braces for slight orthodontic problems and provide a beautiful smile in a short amount of time. The results are simply gorgeous! Ready for a shimmering smile in less than an hour? Without a doubt, the most efficient way to improve your smile is with Teeth Whitening. At Midtown, we offer two in-office whitening solutions, which reverse everyday staining caused by food, drink, and aging. Zoom! Teeth Whitening: The bleaching gel is applied to your teeth while your lips and gums are specially protected. Then a special, low-heat Zoom! Light activates the gel to penetrate the enamel and dentin in your teeth to remove deep stains and discoloration. The gel is applied for four 15-minute sessions. 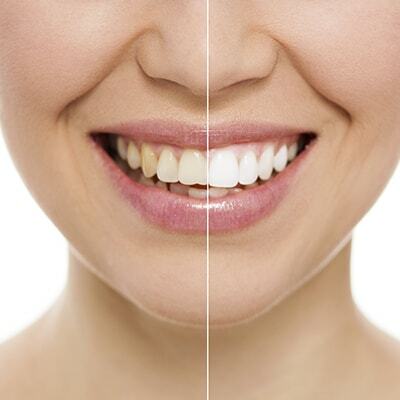 In about an hour, your teeth will be up to eight shades lighter. KöR Teeth Whitening: This state-of-the-art method uses custom-molded bleaching mouth trays to give hours of active whitening rather than just minutes. The KöR system is kept refrigerated by your dentist for maximum potency and is exceptionally effective with lower sensitivity for patients. How it works: A tooth-colored dental composite material is applied to the surface of your teeth and is sculpted to give a natural and esthetically pleasing result. This technique requires a level of artistic skill and our dentists are highly experienced in the latest bonding techniques. Bonding can be a lower-cost alternative to veneers so speak with our specialists about the best treatment for you. Orthodontics is changing. Gone are the days of uncomfortable, embarrassing metal braces. Now, the “clear” way to straighten your teeth is with Invisalign®. This revolutionary solution gradually moves your teeth through a series of custom-made, removable, nearly invisible aligners. Thanks to CAD/CAM technology, Invisalign® braces can transform smiles in months without wires, metal, or discomfort. You will receive new aligners every two weeks and benefit from no intrusion on your life. Dr. Kantor-Goldenberg has advanced training in Invisalign® and will provide a clear explanation every step of the way. A real solution to tooth decay. Inlays and onlays are a great option to stop tooth decay. This dental treatment uses porcelain material to provide a natural looking and long-lasting solution. Inlays: Much like a veneer or crown, an inlay first requires an impression of the affected tooth to be taken. This impression is created using modern technology so it can fit precisely where the newly removed cavity was. The inlay is then affixed to the area and cemented in place. Outlays: An onlay may be used if tooth decay is not contained solely to the middle of the tooth and surfaces on the cusps of the tooth. It is fitted the same way as an inlay but is slightly larger and may cover the top of the tooth. While BOTOX® smooths out wrinkles by relaxing the muscles, dermal fillers add volume to different areas of the face that diminish as we age. JUVÉDERM® fillers are a smooth, crystal-clear gel injected by a treatment professional to lift cheeks, smooth parentheses lines, smooth vertical lip lines or plump the lips. The results are subtle and natural looking! You will see immediate results after your treatment and may last one to two years, depending on the formula used. Reverse the hands of time! Your injection treatment provider will recommend the number of units you need to correct your lines, creases, and wrinkles. You may not see the full results until 3 to 7 days after the initial treatment. Enjoy a younger, fresher looking you with BOTOX® injections! At Midtown Dental Excellence we practice comprehensive dentistry. That means looking beyond teeth to identify how your oral health impacts your overall health. Find out exactly how we do that by learning more about our holistic care.